Code Number 18 La Salle St. Sta. 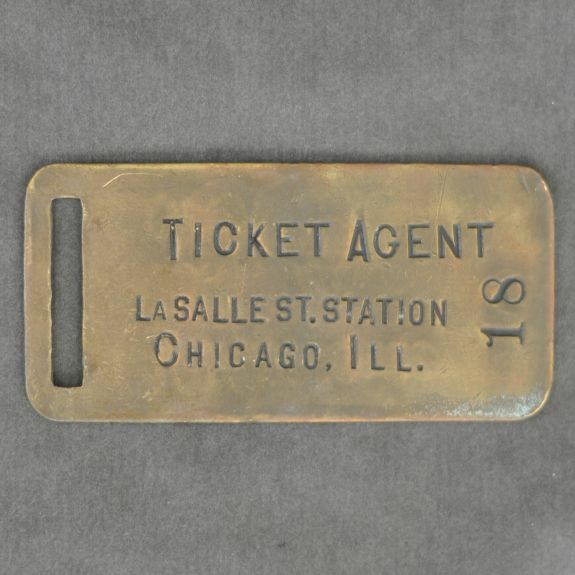 Description New York Central (NYC) Railroad Brass Ticket Agent Revenue Audit Tag - No. 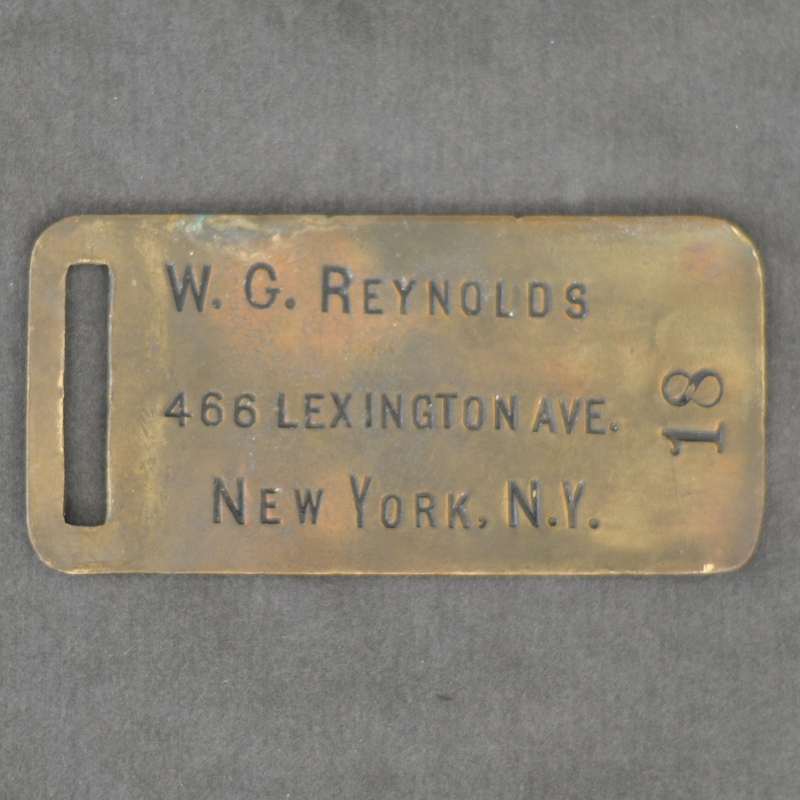 18 from: Ticket Agent, La Salle Street Station, Chicago, ILL. to: W. G. Reynolds, 466 Lexington Ave., New York, N.Y.